Do you get regular oil changes and replace worn out tires? If you’re one of those people that stay on top of car maintenance, does car washing include one of the items on your checklist? Some people spend a lot of time maintaining their car while others only do the bare minimum. It’s important to make washing your car a priority. There are several reasons why you should wash your car on a regular basis. Maintain the integrity of the exterior of your vehicle: Dirt and debris chips, scratches, and wears off the paint giving the car a dull appearance over time. Safety: Bugs and debris on windows and mirrors can create a safety hazard because it prevents drivers from seeing the road. Prevent rust: If you live in a cold climate where salt is applied to the roadways, then washing your car should be the main priority. Salt causes rust across the frame of the car, and washing is the only way to remove it. Keep a new appearance longer: Regular washing and cleaning make the car look new. Prevents the spread of germs: Cleaning the car’s interior is just as important as the exterior. In fact, it prevents illnesses and the spread of germs. Helps the environment: Automatic car washes are more environmentally friendly than driveway washing. 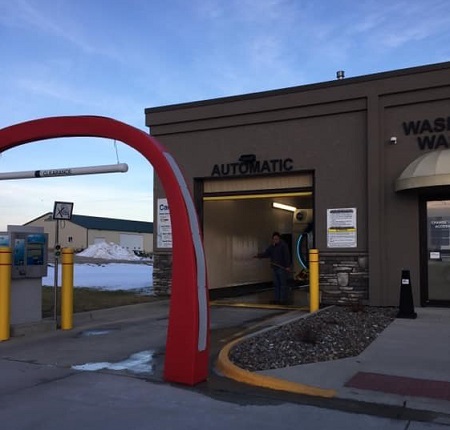 Car washes use less water and the soap/waxes are flushed down a sanitary sewer. Increases resale or trade-in value: Regular cleaning helps protect your investment and maintains a high-quality condition of your vehicle. Dealers are less interested in dirty cars with scratches and chips because those vehicles are harder to sell to picky car buyers. Take care of your car by visiting both of our Waspy’s locations today!